05:30 News: Leonard Peltier loses bid for pardon, RCMP without computer network, CRA surveillance on Facebook, Raising of Smoking Age in BC, Sinn Fein leadership change, Gambia, and more. 21:00 INTERVIEW: Julie Boton, CoFounder of BC for Bernie, in studio to preview Women’s March on Washington, and the Vancouver rally (details here) Saturday, 10-12noon, Downtown. 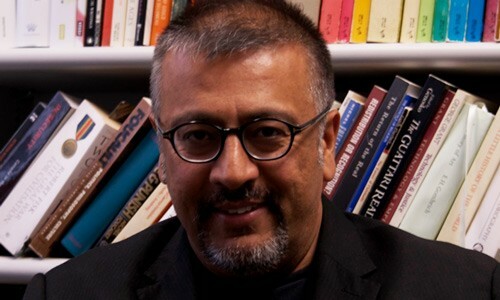 46:45 INTERVIEW: Samir Gandesha @SGandesha previews today’s UNAUGURATION Vancouver Teach-In event with SFU, 11:30am-2pm SFU Harbour Centre. Taking the occasion of the Inauguration of Donald Trump as the 45th President of the United States as an opportunity to raise intellectual and political questions and concerns, to think critically and historically about what is happening now and what the future might hold, this event will gather members of the university and wider community on Friday, January 20th, 2017 (11:30-14:00 in HCC 1900, SFU Vancouver, Unceded Coast Salish Territories). The program will include a screening of the swearing-in and a number of brief micro-lectures, videos, readings, and performances. A short period of time will be set aside for questions and comments from the audience, and for a broader discussion among participants. *This event is being sponsored by SFU History, English, Sociology & Anthropology, World Literature, Geography, the Institute for the Humanities, and GSWS. The program will also feature the participation of faculty from UBC History and AHVA. 58:00 PREVIEW: Saturday’s TRUMP Towers Protest, 1pm Saturday, Trump Tower. 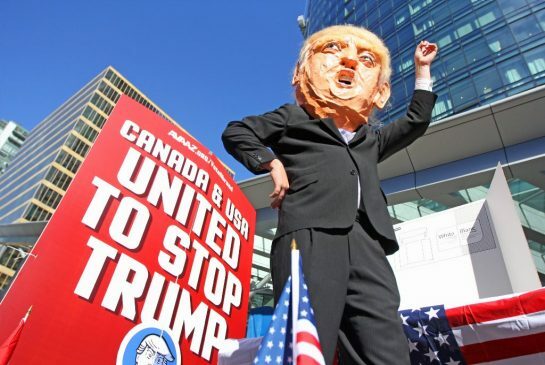 As Donald Trump gets inaugurated as the President of the United States of America, a protest to oppose the Trump Agenda against Palestine, Muslims, Immigrants and a new arms race, will be held at the Trump Tower in Vancouver at 1 pm on Saturday January 21 following the solidarity rally for the Women’s’ March on Washington.